Nashville Community Education is sponsored by the Metropolitan Nashville Community Education Commission of the Metropolitan Government. We seek to enrich the diverse fabric of Nashville through personal and professional educational opportunities. Mary Beth Harding is a graduate of Vanderbilt University (B.A., Anthropology, Psychology, Women and Gender Studies). Mary Beth seeks to provide creative educational opportunities to all members of Nashville's diverse and growing population. 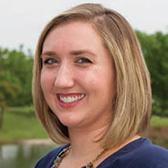 She hopes to continue providing opportunities for you to learn new skills and develop long-lasting connections through Nashville Community Education. Imelda Alamilla has over eight years of customer care experience. She graduated from Middle Tennessee State University with a Bachelor's in Business Administration. 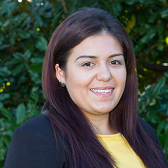 Imelda is responsible for instructor recruitment, scheduling classes, and supporting the Executive Director. 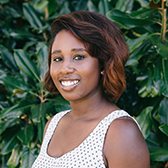 Lakeithea Anderson has over five years consulting experience in Marketing and Public Relations. She graduated from Middle Tennessee State University with a Bachelor's in Textiles, Merchandising, and Design and a minor in Mass Communications. Lakeithea is responsible for engaging the community in the enrichment opportunities NCE offers while also collecting feedback. She hopes to bring awareness and give voice to our program and participants. Joshua Hill provides administrative support to Nashville Community Education. He has over ten years of customer service experience. Joshua graduated from Spec Howard School of Media Arts studying video production and graphic design. 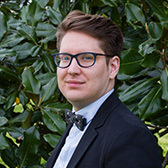 Joshua directs phone calls, manages the online database, and works closely with the Executive Director to complete important administrative tasks.